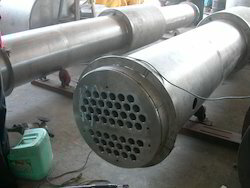 TAVRON Manufacture the Plate Heat Exchanger for last 12 Years. Tavron supplies the Plate heat exchanger with the Carbon steel Frame and Pressure Plate and SS cladded Hygenic version Frame and pressure Plates. Plates are avaible from 0.04 Sq.mt Unit Heat Transfer area of each plate to 2 Sq.mt Unit Heat Transfer area starting with the Port diameter of 25 mm to 300 mm. The Plates are available is SS 304, SS 316, Titanium, Hastolloy etc. The Gaskets will be of NBR, EPDM, HNBR, VITON etc. Gaskets are available in glued and glue free version. Tavron Supplies the Semi welded Heat Exchanger for handling risky fluids. We are a trusted name in manufacturing a vast range of plate heat exchangers that are offered at industry leading prices. 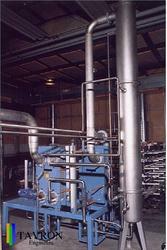 These are extensively used for cooling and heating of various liquids. It has a capacity from 500 LPH to 200000 LPH . The frames and pressure plates are available in carbon steel and CS cladded with stainless steel. The plates are available in SS 304 / SS 316 / SS 316 L / Titanium. 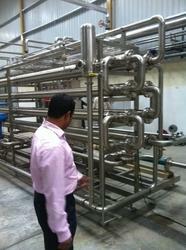 Beverage heat exchanger system :- TAVRON Supplies the Juice Beverage Pasteurizer Both in Tubeler and Plate Type. The system will be of complete automatic with the Temperature , Pressure and flow control system with the state of art control panels and system. These system can be supplied with the SS 304 and SS 316 Product handling area. We are engaged in supplying a qualitative range of storage tanks such as Shell Tube Heat Exchanger, which easily suit to various chemical & pharmaceutical industries.